Keeping with the pace of the world, Puri Pratham offers 2 BHK and 3 BHK residential apartments. Located in Sector 84, Faridabad, Puri Constructions have ensured a luxurious and comfortable space for everyone. Being an affordable property, it has spanned over a wide area. Where is Puri Pratham located? 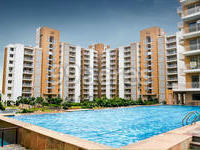 The project is located in Sector 84, Faridabad. What size of flats are available in Puri Pratham? The apartment sizes in the project vary from 1100.0 sqft to 1400.0 sqft. 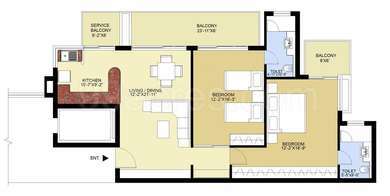 What is the area of 2 bhk in Puri Pratham? The size of a 2BHK unit in the project ranges from 1100.0 sqft to 1395.0 sqft. What is total area of 3 bhk in Puri Pratham? 3 BHK units in the project are available in a size of 1400.0 sqft. What is the area of Puri Pratham?The total area that the project occupies is 10.0 Acres. 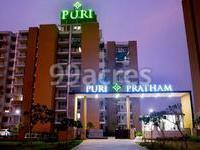 What is the price of 2 bhk in Puri Pratham? The project offers 2 BHK units within Rs. 3960000 to Rs. 5022000.
mers is the strong foundation on which their entire business is built upon. Some of its elite developments are Puri Regency, Puri VIP Floors, Puri Emerald Bay, Puri Amanvilas and Puri Pratham; to name a few. What is the ongoing rent for a 3BHK flat in this area? 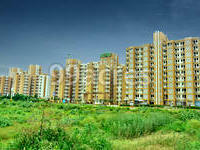 I have a 3BHK apartment Puri Pratham and I want to give it for rent. 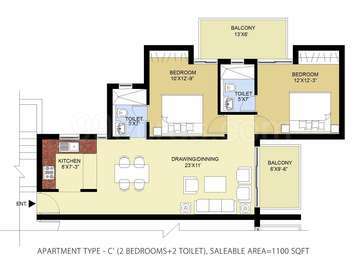 Mr. Chhillar, Puri Pratham is located in Sector-84 [Faridabad] which is a developed area and the current 3BHK apartment rent is between Rs 9,500-Rs 10,800 per month. The security amount is usually 2 months rent of the apartment. Also, there will be maintenance charges which you may include in the rent amount. The current maintenance charges in this project are Rs 2.15 per sq ft.
Want to know the rates of 2bhk and 3bhk flats in this project? Also, what all convenience & security features builder has provided to its residents? @Harmeet, there are many liquor shops in the vicinity of the project which makes it unsafe at night. However, the project is a gated community with CCTV cameras placed at strategic locations inside the complex. You can visit the project and speak to the residents to confirm the security measures taken by the management. The price for 2 BHK and 3BHK ranges between Rs. 40 lakh to 60 lakh. Dear Harmeet, this is a ready project and offers 2BHK and 3BHK apartments. The price of a 2BHK apartment is around Rs 40 lakh-Rs 55 lakh and a 3BHK apartment is for around Rs 48 lakh-Rs 60 lakh. Youve to also pay monthly maintenance charges which are Rs 2.15 per sq ft. For end-use, it is a good project and amenities for residents are good. Some convenience & security features include 24x7 security, CCTV camera security, gated community and property staff .